NewKadia Reviews: A Reliable Comic Book Store. Read why. We want to be the Amazon for Comics! Our ambition is simple: We want to be the Amazon for comics because they do so many things right! 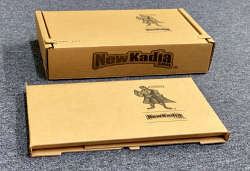 Free shipping with "NewKadia Prime"
When I started buying comic books online for my collection, I was amazed at the awful job many sellers were doing. Some graded comic books accurately, but protected them poorly. Some packed the comic books carefully but didn't ship them for 10 days. Some shipped them fast but the books were over-priced. No one, it seemed, was even trying to do everything right. 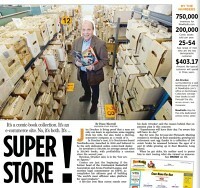 In contrast, I wanted to create the Amazon for comics and be the world's best comic book store! Now, later, how are we doing? Thousands of customers have reviewed us at Bizrate.com. Read their uncensored reviews. Here's how we got started. First, we bought from about 100 online sellers to see everyone elses good ideas. One person protected each comic with a comic bag and cardboard so it wouldn't bend. We copied that idea. Another shipped books in an unbendable box - we copied that idea too. When we couldn't find a box the right size we got boxes custom-made. We didn't want your books moving around which can crush their corners. Soon, we had lots of great ideas. We hate stores where you can't find anyone to talk to. That stinks. We respond fast because we know the more we help you, the more you'll like shopping with us. If you ever email us, good or bad, we respond fast. Then, we post your email so everyone will know their work is appreciated, or if there's a problem, we make them aware so they don't repeat a problem. 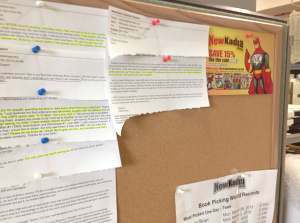 We read, then post your emails. The email includes the estimated delivery date and a Tracking Number. You can return any book for a full refund We'll even pay the return shipping. We want you fully satisfied. If you're not, return it. I'm not sure anyone else pays return shipping, but heck if you return it, you shouldn't have to pay to return it. It's only fair! If we sell 5,000 comics, we'll get 1 or 2 back. Sometimes we miss a defect (no one is perfect) and sometimes the customer is a tough cookie. But, we grade carefully so it's not a big problem. 3. Free USA Shipping with 'NewKadia Prime'. We know a good idea when we see it. So, when Amazon created free shipping, so did we. For $8.50, you'll get unlimited free USA shipping for 3 months. And, there's no automatic renewal and no exclusions! For all the details, click here. Or, instead, you can select USA standard delivery for $4.95 per package. Faster delivery is also available for an extra charge. Airmail to Canada is $7 plus 99¢ per book. Airmail to all other countries is $9.99 plus $0.99 per book, which basically breaks us even on the shipping and packaging. Faster FedEx delivery is also available. If your order arrives late, we'll refund the shipping cost. Just like amazon! Order now, we ship Monday. When we bought those 100 comic books, the grading was a mess -- some "Near Mint" comic books had torn covers, some "Very Good" comics were only in "Good" condition. Most sellers graded very fairly. We copied that. 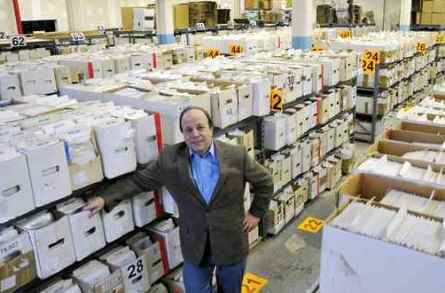 But we needed a better way to accurately grade thousands of comic books. The Overstreet Price Guide didn't help much, because its rules for a comic's condition are spread over two poorly organized pages and are difficult to understand. So, we made a chart summarizing the rules. Suddenly grading got easier. Our chart shows you what is wrong (and right) with each comic. For a full size chart, click here and refer to it while shopping. We pack every order in a strong box. When we couldn't find boxes strong enough, we had professionals design ours. The box at the top is for orders of 15-30 comics. The ends have three walls of cardboard protection. The sides have two walls! The box in front is for small orders. The box has extra protection on the corners. And both have an easy opening tearstrip. You won't need a knife, scissors, or your keys to open them! Every comic is bagged and boarded to protect it even more. And, we stamp Fragile on your box. Did I mention that your package is fully insured? Nope, I don't think I did. So, if someone bends our unbendable box, or if an elephant steps on it, don't worry, because our insurance will pay to replace it. We pay for insurance because I once bought an expensive comic that was damaged in shipping and had to fight for a refund. What a drag! I never want to put you through that. We've shipped over 2 million comics and nearly every one has arrived without damage. It happens every once in a while, but not often. We use the same state-of-the-art security technology that Amazon uses! We've sold over 2 million comic books online and not one person has had their card information stolen. I think you run a greater risk when you hand your card to a waiter and he walks away with it. Like Amazon, you must also enter your card's security number. It's a 3-digit number on the back of Visa, Discover or MasterCard or 4-digits on the front of an AmEx card. Our prices are low and keep dropping. Every comic is priced below its Overstreet Price Guide value. Then, its price drops `each day it remains unsold. This way, you decide its sale price. Here's an example: Top titles usually sell quickly at the Overstreet price. But for some books Overstreet is really off base. $4.50 for Deathblow #1? I don't think so. More importantly, you don't think so. Deathblow #1 has dropped from it's original price of $4.50 to 88¢ and still no one is buying it. So, is Overstreet accurate? Not for Deathblow #1. But, when Deathblow's price drops far enough, someone will buy it. The lower price it eventually sells for is its real value. And who sets that value? The customer who buys it! But don't wait too long, we've shipped to 116 countries, and some rich oil sheik in Abu Dhabi, or a student in Iowa may be about to buy that book you're hoping will still be there in a few weeks at a lower price. 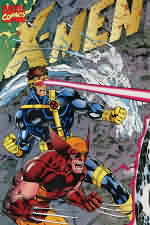 You can also get FREE comic books with any order over $9. Surprise a friend, or a child with a gift! For the freebie list, add $9 of books to your Cart and then click "Free Comic List" in the green area of the Cart page. Elsewhere you're buying just a comic book, but at NewKadia you get much more. we've been in business, we're constantly trying to improve everything. We have a "to do" list, and I'm not kidding, there are 148 things on the list. Each is designed to make shopping easier. Right now we only sell comic books -- and with 686,329 comics in stock, we're the world's largest internet-only comic book store. What do 3/4 million comic books look like? This picture shows about 250,000. We don't sell Spider-Man posters or Superman action figures. We may some day, but we're focusing on being the most reliable and trustworthy comic book store in the world.